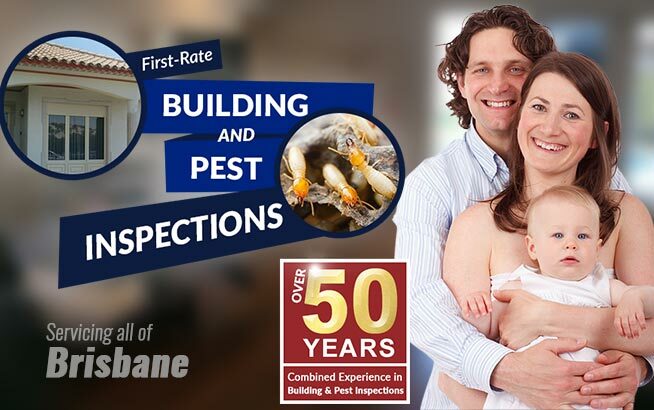 If you are eyeing that all important pre purchase pest inspection, then it pays to get in touch with a service that provides only the best in pest detection. 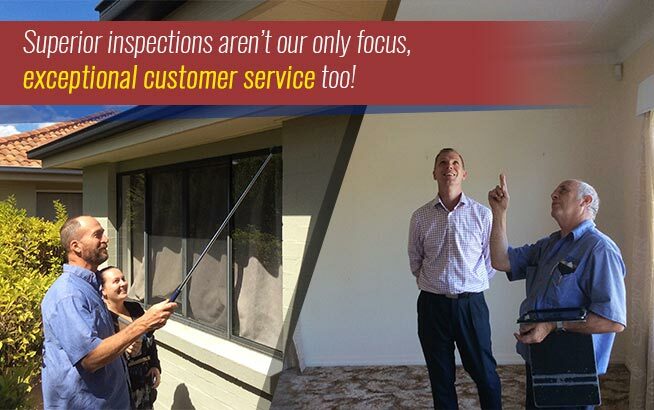 Twinspectors is the service to call if you are looking for thorough and accurate termite detection. We make use of innovative thermal imaging technology to come up with accurate readings on what is going on underneath the surface. One of the big challenges when dealing with termites is that they are practically hidden from sight. When they do become visually obvious, chances are that there is already damage done to your property. They typically start from the outside of the house, then build mud tunnels leading to the property. In some cases, they build their nests within the wooden structures, so they can stay hidden from sight for a long time. 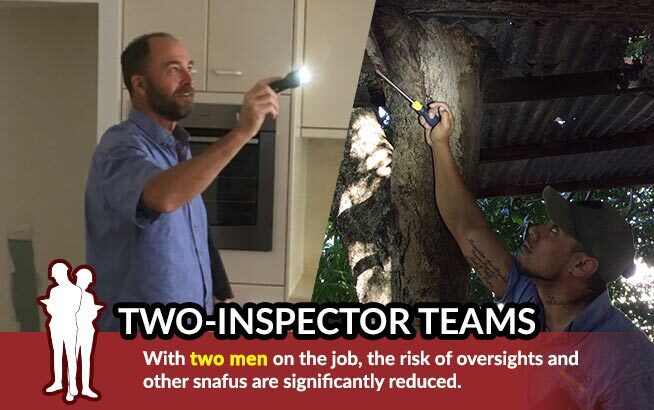 Detecting termite presence does not have to be destructive. It can be done in a non-destructive manner with the help of advanced technology. This is where thermal imaging comes in. With thermal imaging, what is hidden can be imaged to form a basis for the presence of termites. At Twinspectors we pride ourselves in adopting technology that will make a difference in the service we provide clients. Many companies do not use thermal imaging for termite detection because it is costly. But our company does not sacrifice quality for cost. Thermal imaging gives the company that significant advantage over other pest control services. 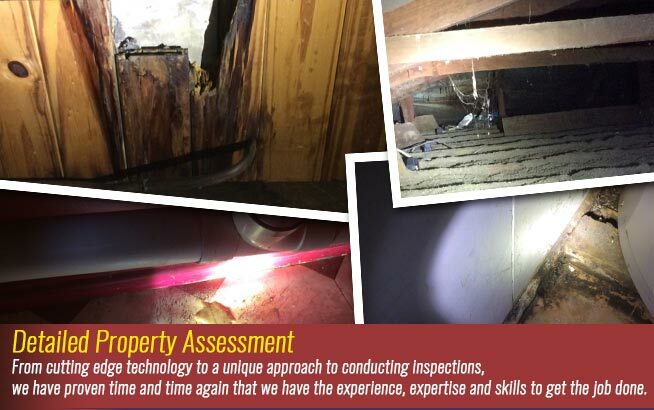 We use this technology in its pre-sale, pre-purchase and regular building inspection services to ensure that we are giving only the best kind of service. This detection tool makes use of infrared technology to create a visual representation of what is happening underneath. Critical to the successful detection of termites through thermal imaging is the moisture content. Termites thrive when there is moisture. Thermal imaging detects even the smallest changes in heat and moisture to indicate if there is indeed termite infestation going on. Thermal imaging makes it possible for technicians to have a visual representation of areas that are hidden from sight. Thermal imaging cameras are highly sensitive and can be effective in finding termite nests and sub-nests. Indeed, this tool is very efficient in zeroing in on the termite colonies. But in some cases, it is not enough to rely on thermal imaging alone. 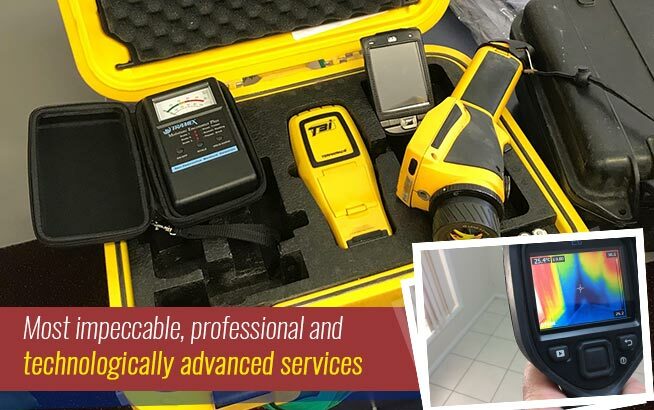 To improve the accuracy of termite detection, we combine thermal imaging with other imaging technologies.